Choose a Thermo Scientific™ CETAC™ Sample Probe to suit your matrix and improve elemental analysis results with automated sample introduction with CETAC Autosamplers. Enable the use of a carbon fiber sample probe with your Thermo Scientific™ CETAC™ Autosampler by upgrading the Z Drive to this improved version. 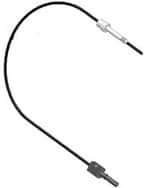 High quality, replacement Thermo Scientific™ Optic Fiber for the Ceramic D-Torch, used by our Thermo Scientific™ iCAP™ 7000 Series ICP-OES Duo instruments. Contain accidental spills and keep essential standards on hand with this Thermo Scientific™ CETAC™ Tray Sub-Assembly with Standards Rack for CETAC™ Autosamplers. 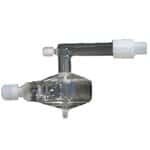 Replacement tubes, constructed of a durable ceramic material, resist chemical attack. Ensure peak performance of your ICP-OES analyzer with dedicated consumables for analysis of hydride-generating elements. 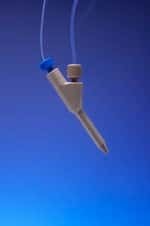 Designed specifically for aqueous samples, sample loop assemblies are available in a range of volumes to match your analysis requirements. Preconfigured Thermo Scientific™ Liquid Sample Introduction Kits deliver increased flexibility and precise sample introduction. 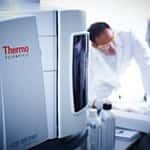 Simple routine maintenance is enabled through the unique design of the Thermo Scientific™ Enhanced Matrix Tolerance plasma torch for the iCAP™ 7000 Series ICP-OES system. Designed specifically for oil-based samples, sample loop assemblies are available in a range of volumes to match your analysis requirements. 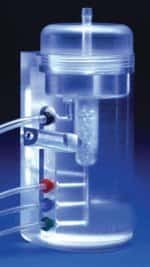 For confidence in quality, use Thermo Scientific™ Enhanced Matrix Tolerance (EMT) Center Tube Holder Assembly Spares for iCAP™ 7000 Series ICP-OES System. Optimize torch performance with this useful kit that contains all the sampling O-rings needed for our ICP-OES Ceramic D-Torches; a cost effective alternative to conventional quartz torches. 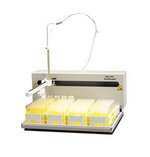 Deliver increased flexibility and precise sample introduction from the Thermo Scientific™ iCAP™ 6000 Series ICP-OES. Maintain peak performance using only dedicated consumables, including Thermo Scientific™ Retaining Ring for Radial and Duo Ceramic-D Torches for the iCAP™ 7000 Series ICP-OES Systems. Convenient Thermo Scientific™ Sprint Valve Kits contain all the consumables required to set up Sprint analysis for ICP-OES.